More than 30 Texas prisons had heating issues during a cold snap that brought freezing temperatures to much of the state this week, according to reports by inmates’ family members. The Texas Inmate Families Association, a support and advocacy group, compiled reports by inmates' relatives that blamed poor insulation, broken windows and nonfunctioning heaters for the cold conditions in the facilities. Several of the advocacy group's members reported that prison officials had recently fixed broken heaters at their loved ones’ facilities, but many continued to report problems with prison heating Wednesday. Two women told The Texas Tribune that relatives had been without heat for more than a month at the Allred Unit near Wichita Falls. The women, who spoke on the condition of anonymity for fear of retaliation against their relatives, said separately that they were told by inmates and prison officials that the prison was waiting on parts to fix a broken heater. Both said guards worked in hats, gloves and heavy jackets. Hurst said a heater in one area of the prison wasn’t working for about a week, and was fixed in the last couple of days. While it was down, he said temporary heaters were brought in. Jennifer Erschabek, executive director of the inmate families association, said she heard about a broken heater at Allred shortly before hearing about a hunger strike at the prison. The Texas Department of Criminal Justice confirmed on Tuesday that 37 inmates kept in solitary confinement had been refusing meals since Christmas. A spokesman said the prisoners complained of various issues like food portions, recreation time and temperature. On Wednesday evening, Hurst said all the inmates had started accepting meals again. “There’s a lot of attention on the hunger strike, but at the same time there are so many people who are so cold in the prisons for one reason or another,” said Erschabek. Being cold in the winter is something inmates and guards regularly endure in a prison system where buildings date back to the 1800s, according to Cheri Siegelin, president of the Huntsville chapter of the Texas Correctional Employees Union. Siegelin said that during cold weather, prison officials hand out extra blankets, and inmates can buy thermal underwear and extra socks from the commissary. She said some things take longer to fix because older equipment calls for rarer parts. "Some of these boilers are so old that when they call for a part, it has to be special-ordered," she said. "You can't just run down to the local maintenance shop." The issue of temperatures at Texas prisons has already been contentious. 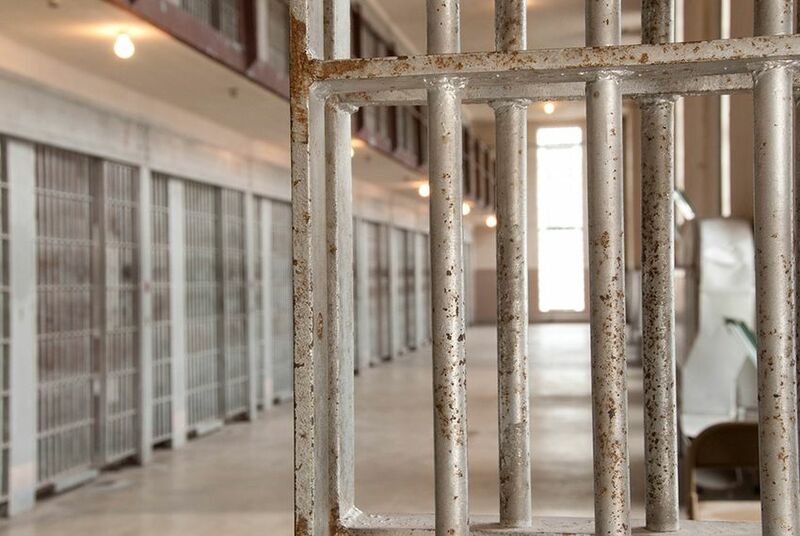 The state is under a federal injunction to provide air conditioning for medically vulnerable inmates at one prison during the hot summer months while a lawsuit on the prison’s conditions winds through the courts. In the lawsuit, inmates at the Pack Unit near College Station claim temperatures at the prison that routinely exceed 100 degrees in the summer consist of cruel and unusual punishment. A federal judge in Houston agreed last July in an emergency ruling, and the order is being appealed. Nearly two dozen Texas inmates have died of heat stroke since 1998. But while almost 75 percent of the state's prisons and jails don't have air conditioning, all have heating, according to the Department of Criminal Justice. Jeff Edwards, the lead attorney in the air conditioning lawsuit, had not heard of the recent reports of inadequate heating, but said that the law is “equally well established” when it comes to providing heat in the winter. Edwards said it would obviously take a little bit of time to fix a broken heater, and short-term fixes like additional blankets and space heaters can work, but that it shouldn’t take as long as was reported by relatives of inmates at the Allred Unit. Erschabek said she reached out to her group's members to compile a list of prisons with heat issues because state Rep. Alma Allen’s office reached out after hearing about the hunger strike. She said Allen, a Houston Democrat who serves as vice chair on the House Corrections Committee, wanted to gather information for the committee. Allen could not immediately be reached for comment Wednesday. “I think it’s going to take money from the Legislature to beef up the infrastructure in the system to where they can properly take care of these people,” Erschabek said. Texas prisons ban over 10,000 books. An Israeli diplomat wants to know why Hitler’s "Mein Kampf" is allowed.